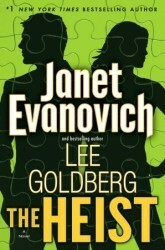 Janet Evanovich is well known for her Stephanie Plum series, which is one of my absolute favourites, so I was really curious to see what this new collaboration would produce. I'm very happy to say that I was not disappointed in the least. What can I tell you about The Heist that isn't already covered in the blurb? Well, I don't think it's going to win any awards, but if you are looking for a laugh out loud, romantic romp then look no further! The characters are stellar - Kate, Nick and Willie - all slightly over the top, and totally loveable in their own oddball ways, as a team they work brilliantly. There is some great action, including Evanovich's trademark explosions. Add in some drug lords, embezzlers and a few pirates and the mix is volatile. There is some wonderful dialogue that just crackles with sexual tension, and there are lots of laughs. As the beginning of a series, The Heist was a beautiful set-up and I cannot wait to see the further adventures of Kate and Nick. For fans of humorous improbability - you can't go wrong. Well worth reading. Don't forget to enter our Canada Day Blog Hop Giveaway! Dare You To is a nice little story of 'boy meets girl from wrong side of the tracks, boy loses girl, boy wins girl back again.' Sound familiar? Ryan has his problems with his father, who is a very controlling person, and his Mum, who seems to be a bit of a doormat. I was particularly upset with her seeming acceptance of the treatment of Mark, Ryan's older brother - sorry, any more than that would be a major spoiler. Unfortunately, I didn't like Ryan's habit of saying 'I don't lose' - it made him seem like a bit of a jerk, and overly arrogant. To me it hinted of a bit of darkness within. Let's face it - everybody loses sometimes. Beth has had a tough life, but she seems unwilling to believe that she deserves anything better. Her journey is hard and frustrating. Much as I love this kind of story, sometimes I get a little peeved at how the characters run away before getting explanations or reasons for whatever has occurred. I understand that people are fragile and have had a hard time, but sometimes I wish they would question the bad stuff and stop accepting things at face value. 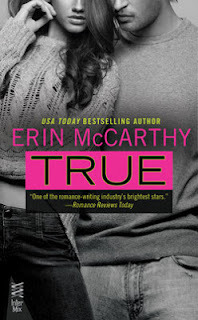 I don't mean to be overly negative here, because I did enjoy Dare You To, but I am coming to the conclusion that contemporary romances are not really my thing. So for me this one was no more than an ok beach read. 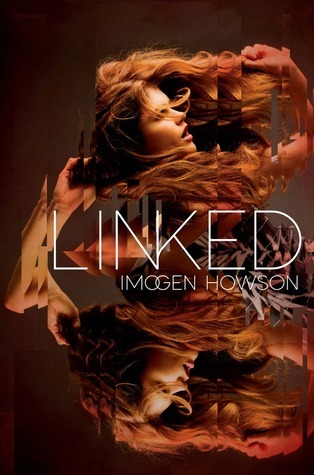 However, if you are a fan of contemporary romance, I am absolutely certain you will enjoy it. Don't let my negativity put you off. Don't forget to visit our Canada Day Blog Hop Giveaway! I think it depends on how I'm feeling. I love to read thick books on my e-reader or tablet. With something more manageable in size, I like to read paperbacks. I store books everywhere (on my reader, tablet and in my phone, in my work bag). That way, I can always read when I have a moment or during a lunch hour. I find these days that I am reading more and more on my Ipad. It's just so darn convenient. I can be reading three different books, and only have to carry around 1 tablet. I do read hard covers when I'm at home though, and I do still prefer the feel and smell of a 'real' book, but they are so heavy to carry around and get damaged so easily. So my preferred format would be hardcover, with a soft chair and a drink by my side, but that doesn't happen often these days. 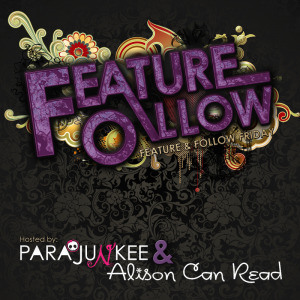 Don't forget to check out our Canada Day Blog Hop Giveaway! Win up to 2 books totaling up to $20Cnd from The Book Depository! You must be a follower to enter. Are there additional entries? Of course! See our list below! Check out more of the participants in the Canada Day Blog Hop here. Please consider making a $5 donation to the Canadian Red Cross If you are a Rogers user, you can contribute $5 by texting ABHELP to 4664. For other mobile companies, you can text REDCROSS to 30333. 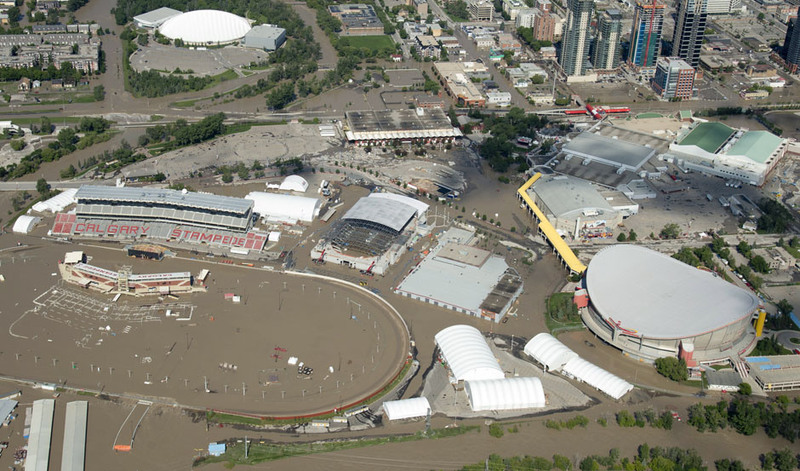 The Calgary Stampede will go on this year as planned starting next Friday (July 5th). To raise money, the Calgary Stampede is offering up tees that say "Come Hell or High Water", a slogan recently popularized from our current situation. You might want to check them out as well - Calgary Stampede tees. Thanks for sticking around and hearing me out! I love thrillers and this one definitely sounds like it's my speed! What are you waiting for? Are scrap piles wreaking havoc in your sewing space? Not sure what to do with all those tiny bits of gorgeous prints you hate to part with? 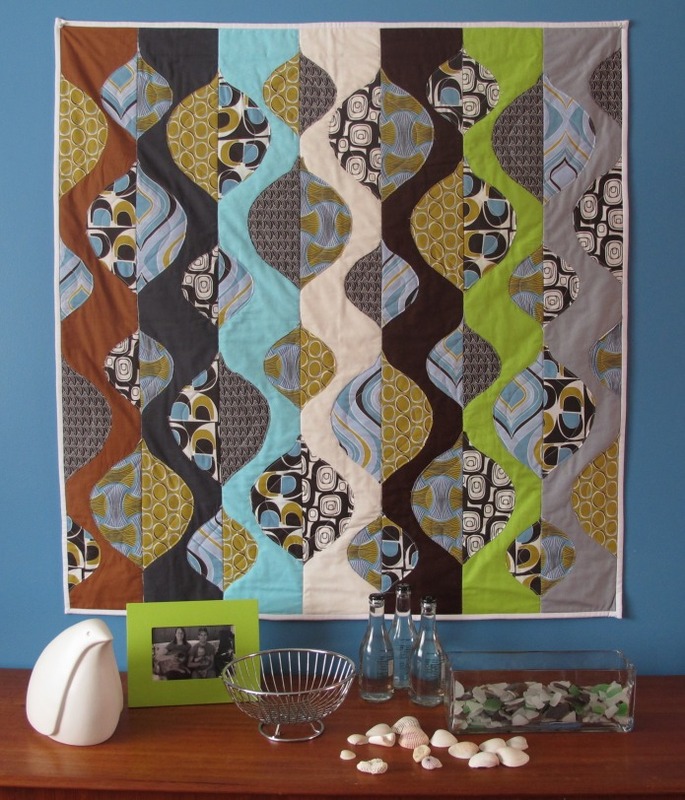 Modern quilters Amanda Jean Nyberg and Cheryl Arkison share a passion for scraps, and they re here to help you get creative with 16 scrappy quilt projects that include piecing, applique, and improvisational work. This book has ideas on how to adapt patterns for your own personal Sunday morning style, plus tips for effectively cutting, storing, and organizing your scraps. Your Sunday mornings just got a whole lot cozier! Last year I inherited all of my mother's quilting/craft supplies. I could literally open my own store with this stash. In fact, I downsized my new stash by donating 14 garbage bags of fabric and supplies to a local charity. 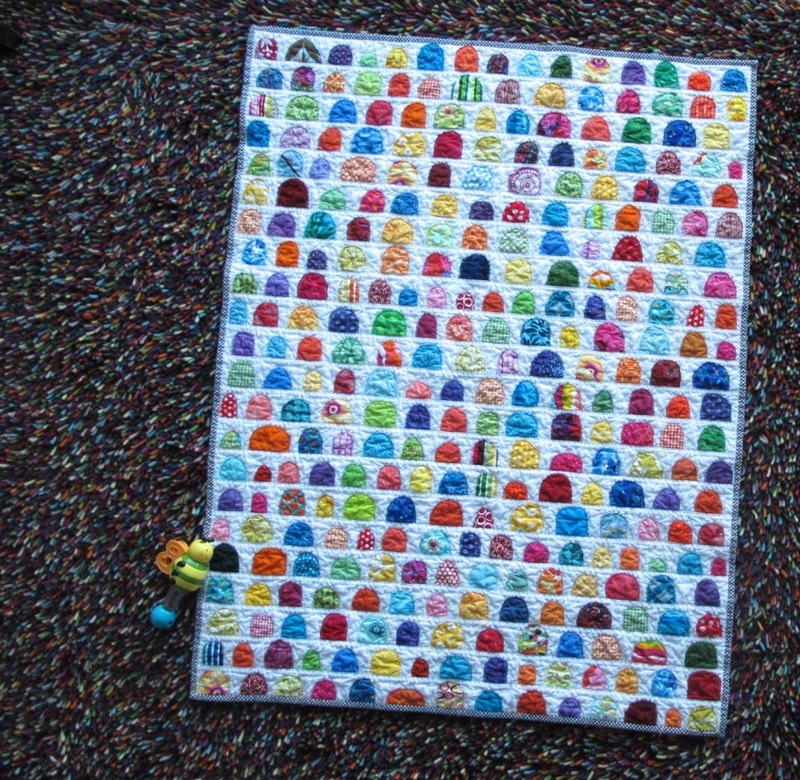 Now I struggle with finding inspirational patterns to work with all of this fabric. One of the problems I have encountered is that my mother's style is not my style. I like a modern style, bright colors and even something that is a little 30's kitchy. 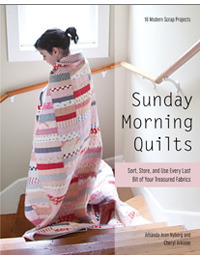 Sunday Morning quilts delivers and even explains how a pattern, colors and design can be transformed into a more Modern look. This title is easy to read and perfect for a beginner to intermediate quilter. 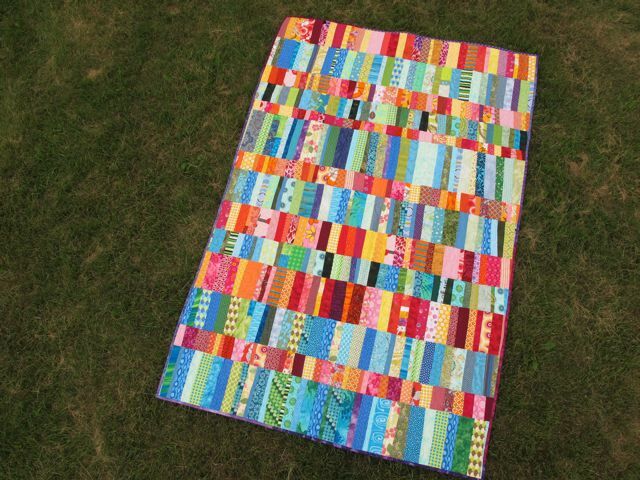 If you have a ton of fabric, especially scrap size and are having trouble organizing, Sunday Morning Quilts offers some great ideas. You CAN conquer the overwhelming feelings of digging through a haphazard bag stuffed with scraps. Jean and Cheryl also show you how they work in small spaces and give you tips to remain inspired. Personally, I think my Sundays just got a lot more interesting! Follow up - I just discovered that Cheryl Arkison is a fellow Calgarian. For those of you who don't know. 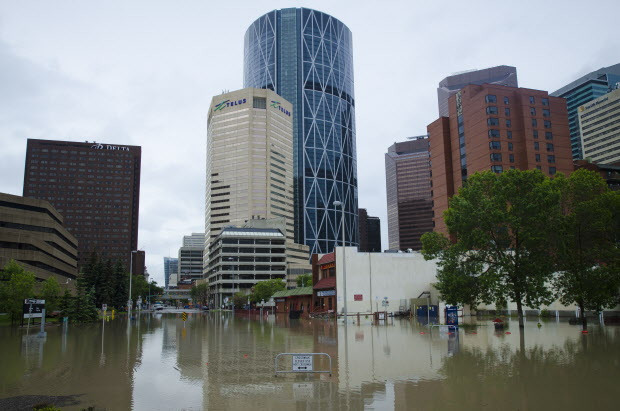 Calgary has had massive flooding since last Thursday. In fact, our entire downtown city core was shut down. 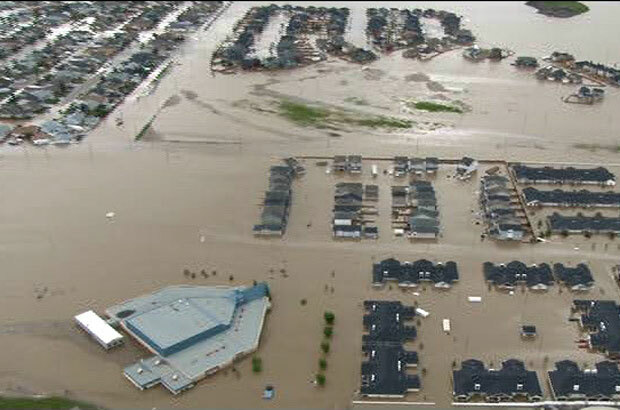 So many people have lost their homes and belongings to water damage. 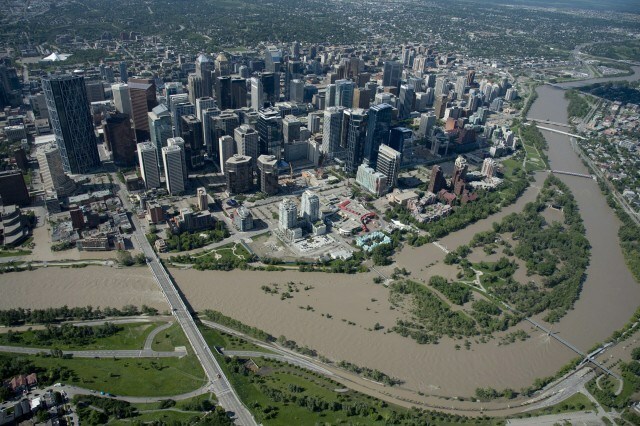 Calgary is my hometown and I am thankful that my friends and family are safe. 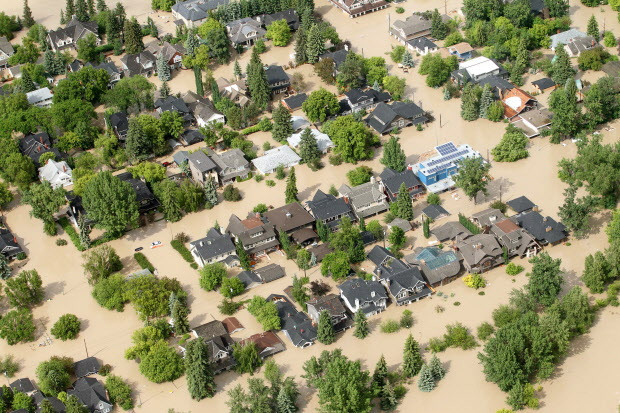 To get an idea of how bad it was, check out this link - http://globalnews.ca/news/661667/photo-gallery-calgary-floods-before-and-after/. 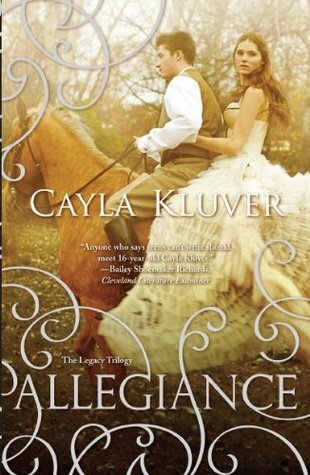 Knowing that Cheryl was also born and raised in Cowtown makes me doubly proud to promote her title on our blog. :) Want to connect with Cheryl? She has her own blog. Luckily, Amanda Jean Nyberg is in Wisconsin and was not near the flooding in Alberta. She also has her own blog. 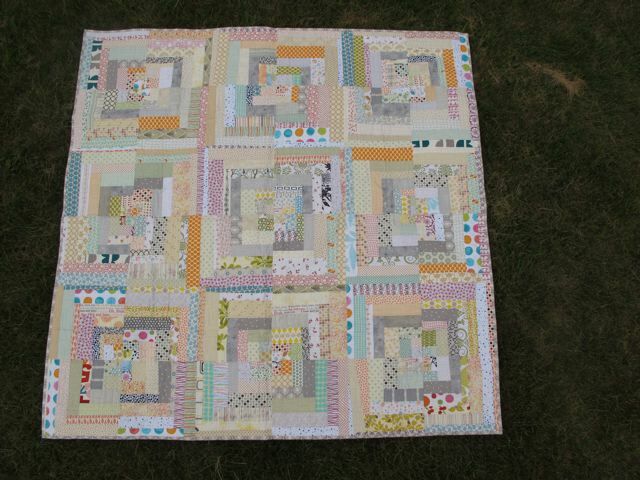 Buy Sunday Morning Quilts and make your weekends brighter! 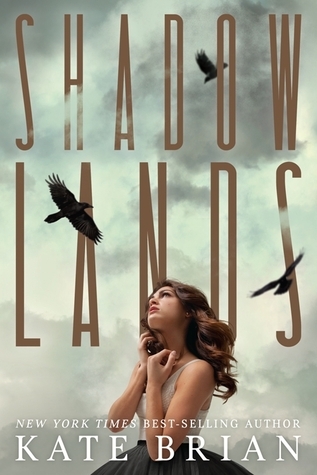 I just finished reading Shadowland by Kate Brian and happened upon Hereafter (Book #2 in the series) on NetGalley. Can't wait to get into this one! 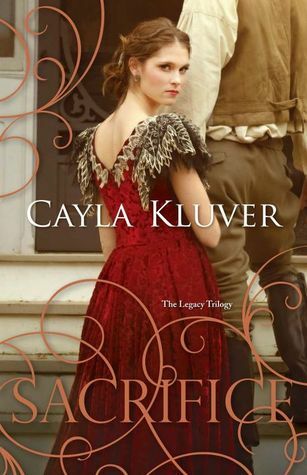 I am just finishing up Legacy (book #1) in this series and also loaded Book 2 and 3 onto my tablet this week. So many series, so little time! 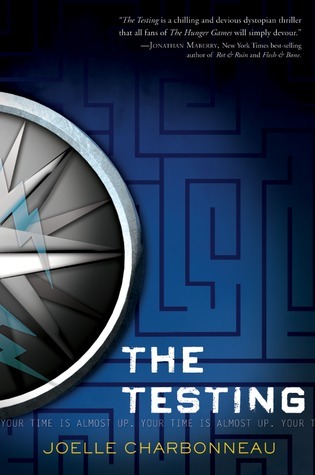 The Testing was a really enjoyable thrill ride that kept me on the edge of my seat and threw a few surprises at me. Ms. Charbonneau has created a very interesting dystopian world with believable and engaging characters. Cia is 17, young, naïve, trusting and very smart. She has such a good heart. Tomas was a favorite of mine. Something I really liked was that he isn't 'hot stuff'. He's thoughtful and caring but he's willing to do what's necessary. Then we have Will - I wasn't too sure about him, but he definitely had that vibe about him that makes you wonder if he is exactly what he seems. Roman on the other hand is exactly what you see - ready to do anything to win. I thoroughly enjoyed this one. One of the best dystopians in the last little while and a definite must for Hunger Games fans. This one really does measure up. This book was not what I expected. 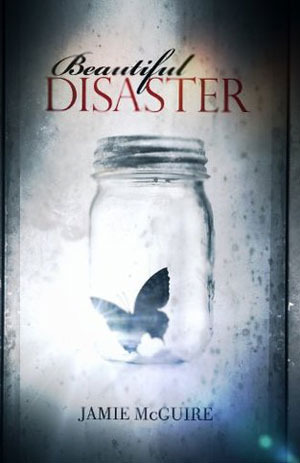 Rory Miller escapes from a brutally scary encounter with a killer and is put into a relocation program with her family. The killer is intelligent, stealthy and always one step ahead. I was suspicious about his whereabouts every time I turned the page. Ms. Brian built up the suspense so that it was nearly palpable. 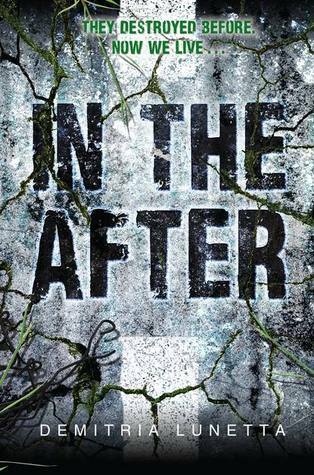 The characters, Rory and Darcy are just normal teenagers who don't want to miss out on other teenage events. (Darcy more so than Rory). They think they're safe from the killer but they aren't and they begin to let their guards down every so slightly. It had me on the edge of my seat wanting to yell out - YOU AREN'T SAFE!! WHAT ARE YOU DOING?? What I did not understand - Steven Nell had killed a number of girls before. He was a serial killer. If this was such a high profile FBI case, then why was her family not escorted to her new location and why didn't someone assist them better? How could her family (sister and dad) be so focused on how the relocation affected their work and social lives rather than their safety? Eventually, my questions were answered. What I loved most about this novel is just when I thought I was figuring things out, I was wrong. Sometimes I complain about books that make me question motives, scenarios, inconsistencies within a novel and character reactions. But sometimes, just sometimes, the more questions you have, the better the book becomes. Kate Brian had me guessing all the way to the end of the book. I realize that this is a series but honestly, it would have been great as a stand-alone title. It was completely and totally not what I was expecting. Well done! 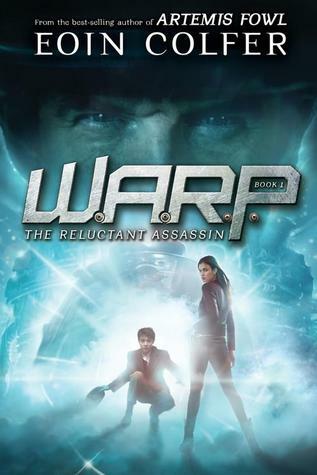 With the defeat of the evil Douglas behind him, Sam LaCroix is getting used to his new life. 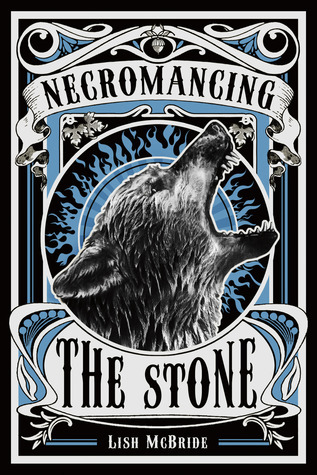 Okay, so he hadn’t exactly planned on being a powerful necromancer with a seat on the local magical council and a capricious werewolf sort-of-girlfriend, but things are going fine, right? Well . . . not really. He’s pretty tired of getting beat up by everyone and their mother, for one thing, and he can’t help but feel that his new house hates him. His best friend is a werebear, someone is threatening his sister, and while Sam realizes that he himself has a lot of power at his fingertips, he’s not exactly sure how to use it. Which, he has to admit, is a bit disconcerting. But when everything starts falling apart, he decides it’s time to step up and take control. His attempts to do so just bring up more questions, though, the most important of which is more than a little alarming: Is Douglas really dead? Necromancing the Stone is the follow-up to Hold Me Closer Necromancer, which I reviewed back in 2011. I thoroughly enjoyed the first one, particularly the humour in it, and I'm thrilled to say that this one didn't let me down at all. This time around the humour is provided by the extra inhabitants of the garden in Sam's new house - well the one he inherited from Douglas after killing him anyway. These inhabitants include garden gnomes - Twinkle the Destroyer anyone, or Chuck Norriser to name just two - statues of gladiators and minotaurs and various other denizens. The antics of this group and Frank are just hilarious - holding Thunder Gnome in the backyard to see whether Frank can become an honorary gnome? The story is written so that the reader is aware of what is going on, but the characters are not, and this led to several 'Oh no, don't do that!' moments for me. It was really rather fun. Sam is such a wonderful character. I absolutely adore him. If I'm honest, I think he is nearly at the top of my favourites list. Not because he's handsome and brave etc., but because he feels real. He's unsure of himself and his powers, but instead of just charging ahead blindly he asks for help - and he listens to the answers. He is kind and caring, funny, sweet. A great friend and really just an all round nice human being. I wish I could meet him. I would recommend reading Hold Me Closer first if you haven't already, because this one will make more sense that way, but it could stand alone. Ms. McBride, I love your writing and I really hope you write more about Sam and his friends, but you finished this one off so nicely I'm thinking maybe this is it. I hope not anyway. I for one would love to see more. New York Times bestselling author Lili St. Crow thrilled legions of fans with her dark paranormal series Strange Angels. Now she has crafted an evocative update of Snow White, set in a vividly imagined world and populated by unforgettable new characters. Nameless was a surprising, dark and very gritty retelling of the perennial favourite, Snow White. This time around the seven dwarves are represented by 'The Seven', families that have a striking resemblance to the mafia, but in fact are vampire families, with all the inherent politics. Cami is deeply scarred, both physically and metaphorically from her life before the Seven. The mystery of what happened to her previously is what drives the story. Cami's relationship with Nico, her adoptive brother is somewhat strange and unusual. Nico is not a particulary likeable character, but he is very protective of Cami. I don't want to give any spoilers so I'll just say their relationship might surprise you. The introduction of a 2nd male character adds an interesting twist to the story but anything else would be a major spoiler, so I'll leave it at that. 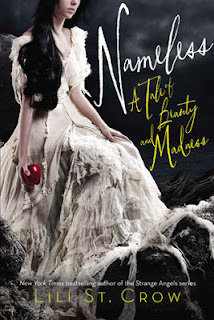 There are some rather confusing dreams about apples, which I never fully understood, but which add significantly to the darkness in the story and Cami's constant nightmares about her time before are not pleasant. I was so glad to find out eventually why Cami is so scared of stairs - that was very unique and not at all what I expected. There is definitely nothing Disney'ish about this Snow White. It's creepy and cold, very dark, and rather alarming at times. Had my heart racing on a couple of occasions. A quick but very worthwhile read. I loved it. Looks like the theme for this week (for me) is girls who go missing or end up dead. 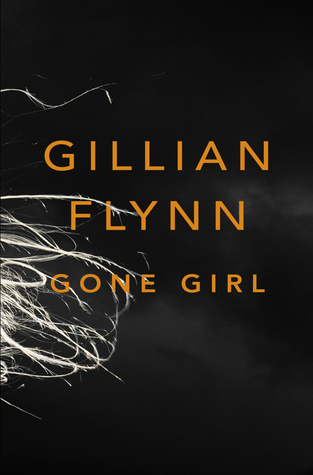 Most of us have heard of Gone Girl so I won't bother with the summary. 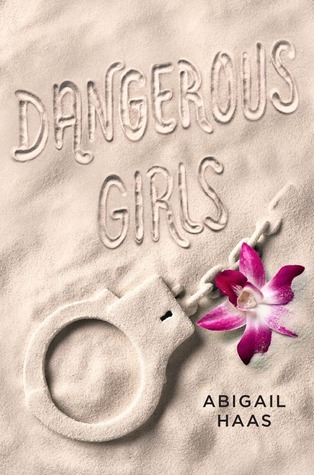 It is an adult title but Dangerous Girls is an ARC sent to me by my lovely contacts at Simon and Schuster. Thank you! Paradise quickly gets gruesome in this thrilling page-turner with a plot that’s ripped from the headlines and a twist that defies the imagination. I'm not sure what I was expecting from this title but it was definitely enjoyable. Perhaps I was looking for a comparable read to Meg Cabot's Heather Wells mysteries. I think I was expecting more humor. You'll understand more when you read about Ann's encounter with a dress in the change room of her favorite store. Ann vs. cute dress. Who do you think will win the match? The truth is, Ms. Barson brought together so many issues in this book that made me laugh, cry and reflect. She addressed issues of weight management, family dynamics in a blended unit, self-confidence, all issues that are relevant in today's society. Ann's character was real and very identifiable. This would make an excellent ISU teen book review. Through Ann and her experiences, we see how insecure she really is about life and how her behaviors are often a reflection of what she has learned or as a result of what she has experienced. 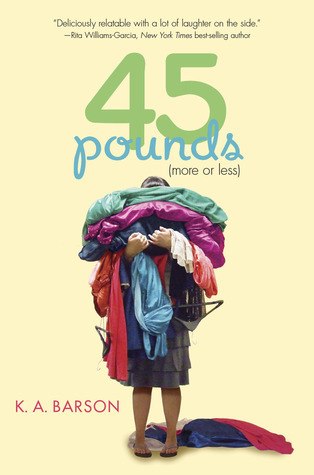 This book isn't all about weight as it may suggest. It is about self-discovery and life lessons. Watch Ann grow and bud into a beautiful girl regardless of her size. It is only through her younger sister that she learns just how her image and behavior has affected others. We may think we know more than kids but ALL YOU EVER REALLY NEED TO KNOW, YOU LEARNED IN KINDERGARTEN! This was a very enjoyable read. I'd recommend it to ages 15 and up and even some of you YA adult readers. It was a "sink yourself in a comfy chair and feel good when you're finished" read. 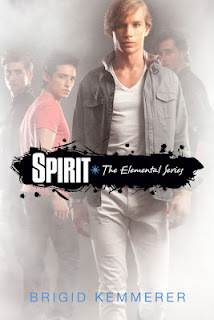 Spirit is the newest title in Brigid Kemmerer's Merrick Brothers series. So far I have enjoyed them all - 3 Novellas: Elemental, Breathless and Fearless and 3 full length novels: Storm, Spark and Spirit- and this one was no exception. Each book is about a different brother and we get to see some great action in each one, along with wonderful character growth. Spirit is a little different because the main character is NOT a Merrick brother. Hunter Garrity is actually a hunter of elementals, which is of course what the brothers are, and it is interesting to see how circumstance collide to turn his life upside down. How Hunter comes to realise that all is not as he has been told makes for a great read. The books each have an intriguing mystery and some great action. If you haven't tried this series yet give them a go. Four misunderstood hot brothers? What's not to love? Hayley is going to have the best year ever. After years of careful planning, she's ready to serve as student council president AND editor-in-chief of the newspaper. Ivy League, here she comes! However, just before student council elections, someone creates a fake facebook profile for Hayley and starts posting inappropriate photos and incriminating updates. It must be the work of a highly skilled Photoshopper, but the attention to detail is scary. The embarrassing photos of "Hayley" in her bathing suit reveal a birthmark on her back--a birth mark Hayley has never shown in public. . . . The situation escalates until Hayley's mother reveals some shocking information. Hayley isn't an only child: She has a twin sister who was adopted by a different family. And that's not all. 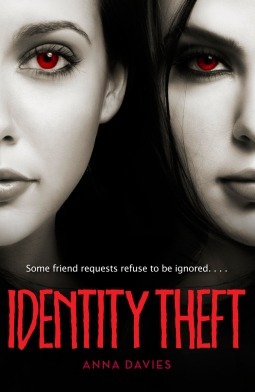 Soon, Hayley discovers that her long-lost sister isn't just playing a prank--she's plotting to take over Hayley's life . . . by any means necessary. Hayley is a perfectionist and the ultimate nerd. Everything is so methodical and routine that when things start to go awry, she has trouble adapting and understanding that someone else is controlling her life. Imagine mapping out your entire life. Having an end goal and only one road to get there. Dropping all of your friends and any sense of social normality in order to achieve this one objective. If Hayley had any friends, I'm sure Spencer Hastings from Pretty Little Liars would be either her BFF or her Frenemy (competing against her). While I appreciated the suspense in this novel and I did want to keep reading, there were inconsistencies that I couldn't turn my back on. For instance, although Hayley didn't have a lot of friends, she had a decent relationship with her family. Her Mom seemed pretty approachable so why didn't she tell her Mom about the strange things happening in her life? Also, about 2/3 of the way through the novel, Hayley flips out on her mother. it was not the kind of reaction I was expecting from the conversation they were having. It felt forced and a little inconsistent with the way that Hayley's character behaves. I thought it was totally unreasonable for Hayley to think she killed her twin in the womb, purposely wrapping the ambillical cord around her neck...AS A FETUS!! Also, Hayley and her mom get into a big argument in the park about her being a twin and not knowing. I found it disturbing to think that Hayley's mom left her there, clearly upset and decided to hideout at her boyfriend's house. So to wrap up this book...I loved the pace of this novel. It was quick and driven by suspense but there were a lot of inconsistencies which took away from the novel's believability. The first 2/3 of the book were great but I would have liked to see the author clean up the last 1/3. I still finished it and would consider it an interesting read but tuck it lower on my TBR list when recommending a suspenseful, thrilling read to friends. Elissa used to have it all: looks, popularity, and a bright future. But for the last three years, she’s been struggling with terrifying visions, phantom pains, and mysterious bruises that appear out of nowhere. Riveting, thought-provoking and utterly compelling, Linked will make you question what it really means to be human. While I haven't managed to read either of these this month, they both look really good. Eoin Colfer is always good - Artemis Fowl anyone? Barry Lyga wrote the astounding and creepy I Hunt Killers and Game is the follow-up. If it's even half as good it will be well worth reading. I have my copies from the library and I'm looking forward to reading them both. Let me know what you thought if you've already read them. Riley, a teen orphan boy living in Victorian London, has had the misfortune of being apprenticed to Albert Garrick, an illusionist who has fallen on difficult times and now uses his unique conjuring skills to gain access to victims' dwellings. On one such escapade, Garrick brings his reluctant apprentice along and urges him to commit his first killing. Riley is saved from having to commit the grisly act when the intended victim turns out to be a scientist from the future, part of the FBI's Witness Anonymous Relocation Program (WARP) Riley is unwittingly transported via wormhole to modern day London, followed closely by Garrick. I Hunt Killers introduced the world to Jasper (Jazz) Dent, the son of the world's most infamous serial killer. When a desperate New York City detective comes knocking on Jazz's door asking for help with a new case, Jazz can't say no. The Hat-Dog Killer has the Big Apple--and its police force running scared with no leads. 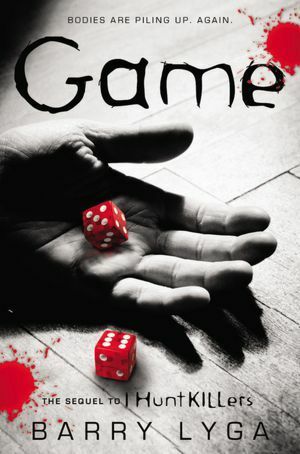 So Jazz and his girlfriend Connie hop on a plane to the big city and get swept up in a killer's murderous game. I had heard so much about this title last year that I thought I'd give it a go. Watch for my reviews in the coming weeks! When I did a Goodreads review for this title I put down 'Not bad, but it didn't wow me.' Then I sat down tonight to write this review - 3 weeks later - and I hate to admit that I really can't remember anything about it. I checked my notes and discovered I had written that Tyler is a typical example of appearances being deceptive, but I can't remember why, I don't have a clue. I remember thinking as I was reading that it would be a good title for contemporary fans as a quick summer read, but I absolutely can't remember any details about the story at all. Even the blurb doesn't bring back any specifics. I feel very sad about this, and I did consider fluffing my way through a review, but no. I have to just admit that I read it, enjoyed it a bit at the time, and now I can't remember why. So I'm really sorry Ms McCarthy, but True just didn't stick with me. If you liked it, let me know, maybe you can jog my memory a bit. Fans of The Mortal Instruments and The Infernal Devices know that Magnus Bane is banned from Peru—and now they can find out why. One of ten adventures in The Bane Chronicles. There are good reasons Peru is off-limits to Magnus Bane. Follow Magnus’s Peruvian escapades as he drags his fellow warlocks Ragnor Fell and Catarina Loss into trouble, learns several instruments (which he plays shockingly), dances (which he does shockingly), and disgraces his host nation by doing something unspeakable to the Nazca Lines. This standalone e-only short story illuminates the life of the enigmatic Magnus Bane, whose alluring personality populates the pages of the #1 New York Times bestselling series, The Mortal Instruments and The Infernal Devices series. 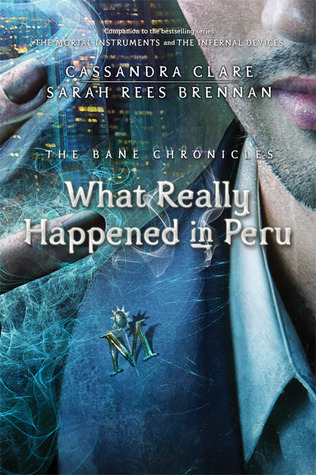 This story in The Bane Chronicles, What Really Happened in Peru, is written by Sarah Rees Brennan and Cassandra Clare. This is the perfect book for those of us who are obsessed with the Mortal Instruments series. It is a short one, only 70 pages long and in e-format which is awesome to dive right in for an evening of reading. 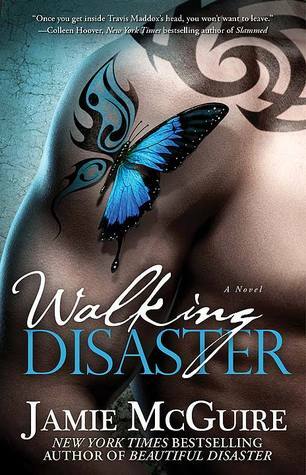 What I love about this title is that it brings to light the quirkiness of Magnus Bane's personality. It is apparent how much fun Cassie and Sarah had in writing this series. This dynamic writing duo will succeed in providing you with ridiculous scenarios even a warlock could write in his memoirs. The images burned in my mind as I read through Magnus, Ragnor and Catarina's adventures in Peru. "After breakfast, which was five drinks for Ragnor and seventeen for Magnus..."
Here's a thought - Have you also read Sarah Rees Brennan's The Demon's Lexicon trilogy? If you have, you should be familiar with a certain demon hottie named Nick. Now, imagine what would happen if Nick and Jace had a bromance? Would you call them besties or beasties? 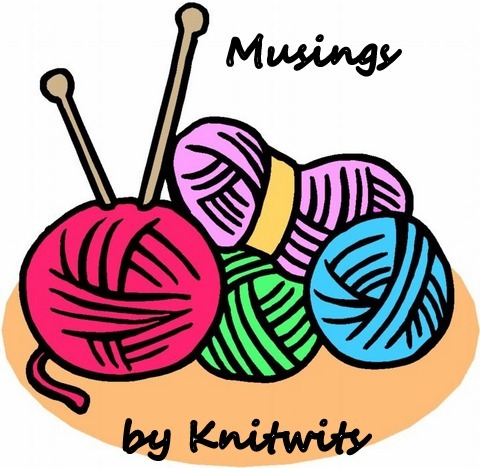 The creative juices of both authors flowed in this short story and are sure to give you a giggle or two. If you are looking for a fun, light-hearted read with characters you are already familiar with, have a go at the Bane Chronicles. I think it will bring a smile to your face. Q: Have you broken up with a series? If so which one and why? This one's easy. I've broken up with many series. All for different reasons. 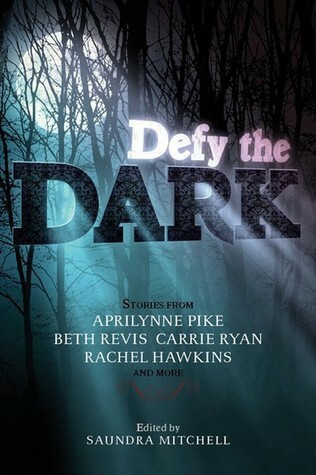 Tricia Rayburn's Siren's series is one of them (I lost interest). 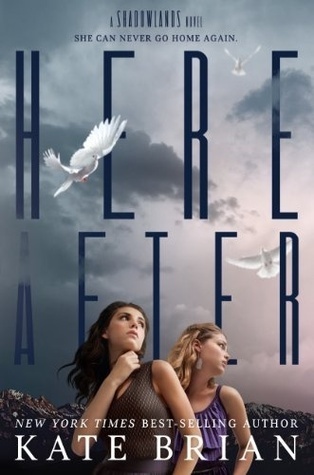 Another is the Gone series by Michael Grant (they were too brutally long for me). 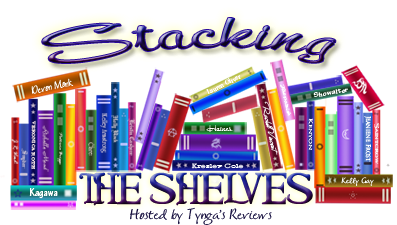 Unfortunately, another that is close to the chopping block is the Beautiful Creatures series by Kami Garcia and Margaret Stohl. I am on the last book but finding it hard to finish. Nowadays everything is a series. Does anyone else have trouble finishing them? Curlypow here at 9:00 am - I can't believe that Christinabean added Gone and Beautiful Creatures to that list - they are two of my absolute favourites. 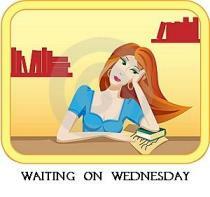 But, in retaliation I have to add the Vampire Academy series by Richelle Mead. I couldn't get into it and I know it's one of her favourites. Also Anna Dressed in Blood by Kendare Blake. It just goes to show that we all have individual tastes, even though we do enjoy many of the same series - Cassie Clare anyone?